Meta Keyword Tags: Still Useful… Just Don’t Use Them! About a decade ago, search engines judged pages only on the content of web pages, not any so-called ‘off-page’ factors such as the links pointing to a web page. In those days, keyword meta tags quickly became an area where someone could stuff often-irrelevant keywords without typical visitors ever seeing those keywords. This was long before search engines’ current emphasis on quality content. Back in those days, if you left your keywords meta tag blank, you were likely cursed into no man’s land, regardless of how useful or credible your content may have been. In recent years, Google and company have become far more sophisticated in their algorithms, and meta keywords have gone by the wayside. In fact, Google stopped using meta keywords as a ranking factor back in 2009, and Bing potentially uses it as a spam signal. Based on this, it would be logical to assume that few websites still use the keywords meta tag, but that’s just not the case. According to a recent study by Rival IQ, 50% of websites still employ this archaic practice. The study further reports that 27% of these sites updated their meta tags in the last 90 days. If you are one of these website owners, you should consider removing the keywords tag across your site immediately. Why? Because they don’t count for Google, and they may hurt you in Bing. 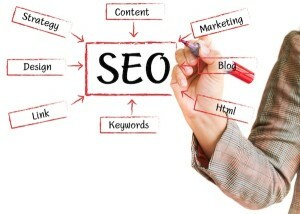 And beyond that, this meta data can give your competitors a clear blueprint of your keyword strategy. Once your meta keywords are removed, you can use this mistake to your advantage; it’s time to go hunting to see what the competition is exposing. Where can I find the keywords meta tag? Meta keywords are part of a page’s HTML code, and the tag lies between the opening and closing head tags. This data doesn’t appear to a site visitor, but it is parsable, and used to tell search engines what keywords you wanted associated with pages on your site. You can view the keywords tag of any webpage by viewing the page source via your Web browser. In Safari, it’s right in the “Develop” tab. This is an outline of what the page source will look like. In reality, the code may be sloppier, and there are other tags that may be present. A “search” or “find command” for “keywords” should take you right to it. Please note that while the keywords tag should no longer be used in your site’s meta data, it is still crucial to include a title tag and meta description for every page. Nowadays, the best way to use the meta keywords tag is to hope your competitors are in the 50% still displaying and updating their keywords. If you want to get a peek into the top keyphrases your top competition is using, check out page source of their top pages. Or, you can use one of many tools to make this extremely quick and easy, such as Exadium’s Metadata extension, or the SEOmoz toolbar. The days of convincing search engines you are worthy of a top ranking via meta data alone may be old news, but any information the competition wants to share is helpful information indeed.